With such a multicultural society and a growing level of immigration, Australian Estate Practitioners are increasingly being confronted with estates that contain the complexities of offshore assets or residents. 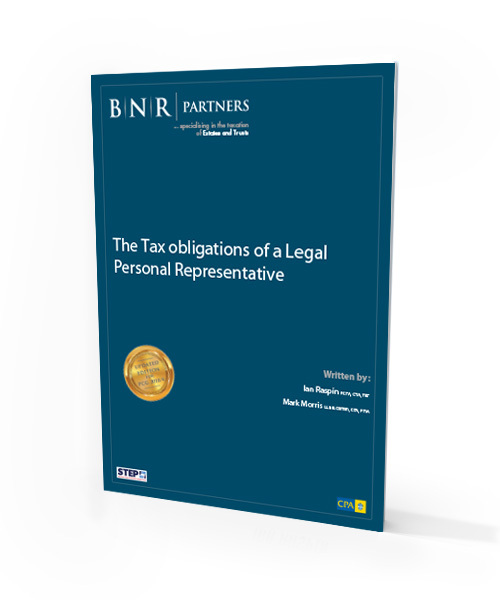 This book provides practitioners with the fundamental tools necessary to understand the Australian tax implications of the tax residency status of beneficiaries, the deceased, and that of a personal legal representative. 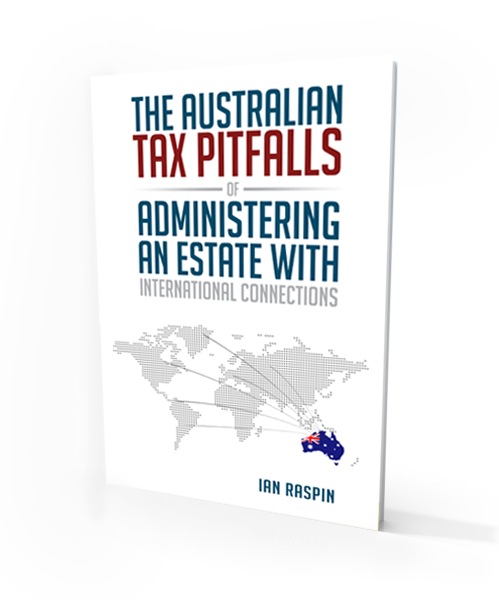 It addresses the various tax treatments of different classes of assets and discusses how tax is to be withheld and remitted within Australia. The book also contains a number of working examples to step practitioners through the complexities of these issues. 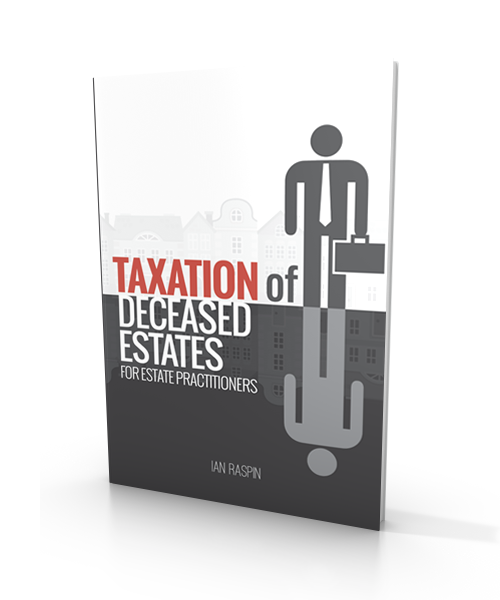 The book provides the answer to key questions such as the tax responsibilities of executors and when a tax return is required. It addresses a number of fundamental estate taxation issues such as capital gains tax, superannuation proceeds and the concepts of present entitlement. Sign up for the BNR Partners newsletter here and receive a free sample of both Ian’s books! 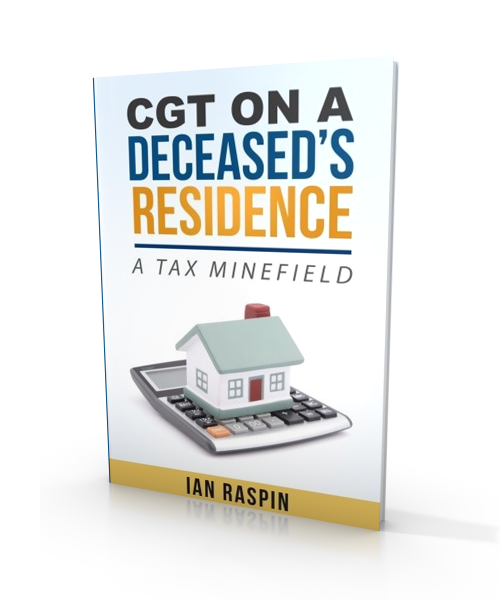 One of the largest assets of a typical deceased estate is often the principal place of residence. What is often inadvertently overlooked is that the sale of the residence may trigger a number of Capital Gains Tax issues for the estate. The book explores this minefield and gives clear guidance on how to handle this issue. The two interviews with Ian Raspin, the director of our Estates and Trusts division by the CPA Australia Sound podcast. Do you need to lodge an Estate Tax Return? Who pays the tax on an Estate’s income?